When you feel as though you have hit a roadblock in your life and you are not sure where to go next, this can be an extremely scary experience. After all, not having direction is one of the main ways people identify themselves as a failure. This belief, like most of the other ones we hold near and dear in our personal belief system, can take quite the toll on your psyche. As beliefs create our reality, they taint the lenses by which we look through to see the world. Harmful beliefs can result in limiting us, just as positive beliefs can work to enrich our lives in a number of ways. If you think you are incapable of becoming a success, chances are, you will be. The following beliefs and habits are sure to get in your way as you try to navigate your next steps in life. Consider whether or not you relate to them and how you can adjust this type of thinking to benefit your life in a beneficial way. Whether it be your loved ones or your coworkers, having people tell us things about ourselves that are not in line with what we believe about ourselves can be harmful to our self-esteem. Then again, it can be extremely beneficial to you as well. If people want to criticize you, use that knowledge to get better but also do not block out the voices that challenge the negative things you think about yourself. When someone tells you that you are smart, bask in that for a moment. The next time you question your intelligence, return to that moment when you felt proud of the things you know and channel that feeling rather than self-doubt. One of the most frustrating aspects of life is finding the right direction for you personally. Feeling as though you have hit a dead end is just an indication that it’s time to turn back, retrace your steps and start walking in a new direction. There is no such thing as being stuck. If anything, overwhelm yourself with the infinite possibilities your life holds and then begin to slowly narrow them down until you are heading in a new focused direction. You may not be aware, but we can have strengths that are completely counterproductive. 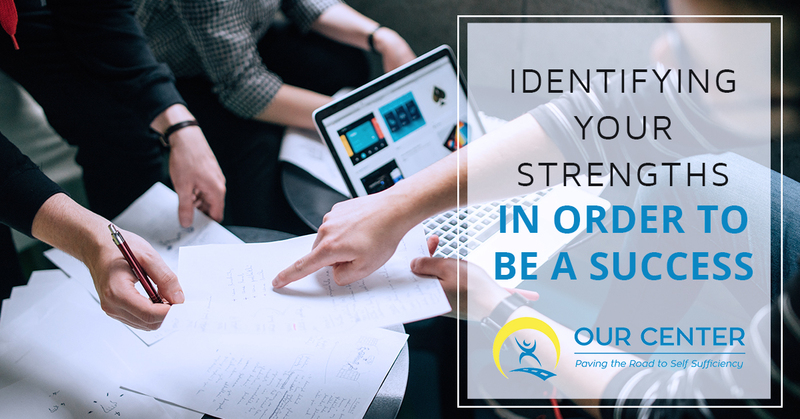 When your strengths begin to get in your way because you have relied on them too heavily, it might be time to lean into something else can bring your joy. Simply doing the same things over and over again is not progress. One of the biggest mistakes people make that can hinder them on their path to success is thinking they do not need to obtain new knowledge. When someone views the world in such a narrow way, they cannot be successful in the long run. Things are constantly evolving in this world, and if you are unwilling or uninterested in change, you can kiss your success goodbye. Be open to new ideas and to the idea that you, yourself are growing and changing as well. We will not deny that there are people in this world, who when you are looking at them from an outside perspective, seem to have it all. It’s easy to simply give up on your own ambitions when it seems that success comes so easily to others. While perception may be reality, the truth is that you have no control over anyone but yourself. Jealousy does not serve you. If anything, being envious is a disservice in the biggest way as it makes you question your abilities and how worthy you are of success and happiness. Leave the jealousy on the shelf and focus on what you can do to achieve your goals. If you are feeling aimless and you would like some help finding the next path you should walk down, we can help you at OUR Center. There are plenty of options at your disposal and we would be happy to help you decide which one is the right for you. Contact us today for more information about the services we offer in Longmont.